Nowhere is technical know-how and expert machine work more critical than in performance applications. Don't trust your performance engine to just any shop. Eastwoods Auto Machine has the ability to provide resourceful planning, knowledgeable advice and the highest quality machine work making us the best choice for your project. 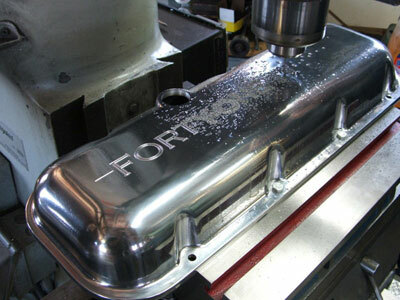 • Before the machining begins, project development is done with the aid of computer software which is used to determine such things as engine specifications, compression ratios and estimated horsepower. • Performance block work usually involves squaring the cylinder decks to the crankshaft and machining them to a predetermined height in order to achieve a desired compression ratio. This operation is done on our VB160SF Machining Center using a BHJ Truing Fixture. • The advantage of the VB160SF is that it allows the cylinder decks and cylinder bores to be machined all in one set-up. Cylinders are precision bored and then plateau honed providing an ideal finished surface for the piston rings. Cylinder sleeving is also done on this machine. 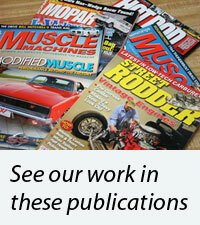 • Line honing the main journals insures that the crankshaft bearings will have proper clearance once assembled. • Eastwoods offers in-house crankshaft grinding and micro-polishing. • A computer-balanced rotating assembly will produce efficient horsepower in a performance engine. 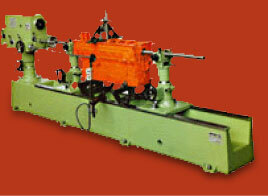 The components in the rotating assembly are weight-matched and bobweights are assembled and installed to the crankshaft. 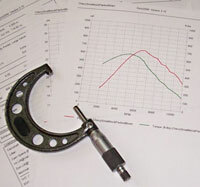 These bobweights simulate the influence that the rotating and reciprocating components have on the crankshaft and when spun the computer indicates where and how much weight needs to be added or removed. 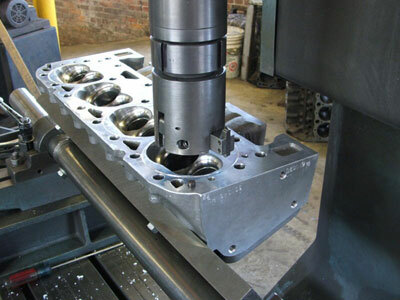 • Our CNC Bridgeport can be used for such things as to fabricate parts, drill bolt hole patterns, custom engrave valve covers and machine combustion chamber "O"-rings in performance cylinder heads and engine blocks. 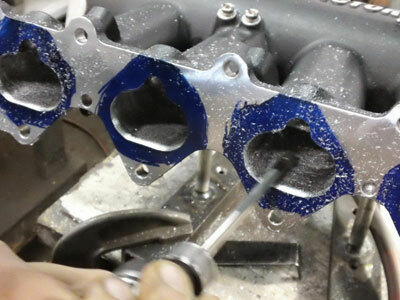 • Performance cylinder head services include guide & seat work, valve jobs, CBN resurfacing, aluminum welding, "O"-ring machining, valve train set-up and porting & polishing. 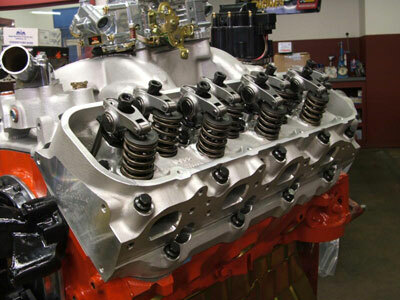 • At Eastwoods, performance engines are meticulously assembled one-at-a-time. Our run stands allow us the opportunity to run, break-in, tune and inspect our performance engines before they are delivered for installation. 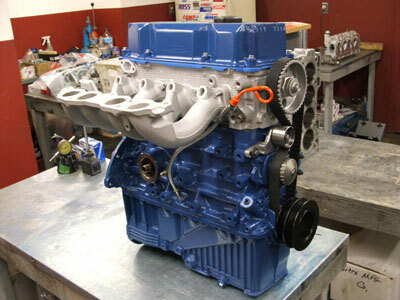 • Eastwoods can provide aftermarket engine blocks and performance components for your project. Domestic & International Shipping Available!